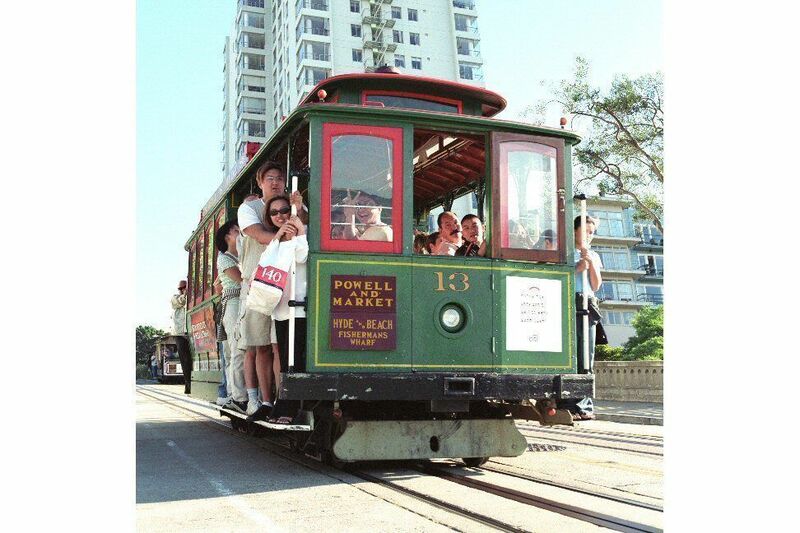 A San Francisco Cablecar struggles uphill. Q. Cathy P. and family of St. Peters, Missouri are visiting San Francisco and Yosemite National Park and want budget hotel and sightseeing ideas along the way. A. Thank you for your note requesting itinerary planning advice for your upcoming trip to California. As we understand it, you will be flying from Missouri with a 6, 15, and 18 year-old, then visiting San Francisco and Yosemite, driving in between. Since you have 9 days, that’s plenty of time to see quite a lot and enjoy what this area has to offer, but you also have at least two full days of driving. You say the kids are interested in pool time (this isn’t the trip for that) and in wildlife / eco-tours, which you can find in Yosemite and the surrounding towns. Keep in mind that for every organized activity, even a free guided hike with a Park Ranger, you should allow about a half-day to get there, enjoy it, relax, eat and discuss events afterwards. One thing we do recommend is that you begin your trip after landing in California by driving toward Yosemite, and leaving San Francisco last. From your home in Missouri, check options for flying into Oakland, San Jose, or even Sacramento, as these airports may present better fares for you than flying directly into SFO. From here, you can rent a car and begin your journey with our suggested itinerary. Day 1-2 – arrive San Francisco or other, pick up rental car, drive about 90 miles, explore the city. Sightsee Sacramento Gold Country attractions, drive Yosemite – 200 miles. Sleep at Yosemite. Day 3-5 – 3N Yosemite, camping, hiking, biking or drive through in one day at spend the nights in Kings Canyon or Sequoia National Park. It’s about 220 miles back to the coast around Santa Cruz. Day 5 – Sleep Santa Cruz, which puts you by the beautiful Pacific Coast and will give the kids a chance to visit the fun Santa Cruz Boardwalk and surfing beaches, and tour UC Santa Cruz if the teens are interested. Day 6-9 – From Santa Cruz, it’s about 1 1/2 to 2 hours by car to San Francisco, where you may want to return your rental car as parking is expensive. You can book a furnished apartment in San Francisco, which should be economical, and use public transportation to get around and get back to the airport. We recommend leaving the wonderful city of San Francisco till last because for teens it has the most excitement, shopping, music, restaurants and street life. It’s also the most expensive of the northern California cities, so you can adjust your budget by deciding how long you want to spend there. We have several stories written by other families who have made a similar trip, so please take a look at those to get an idea of successful itineraries. Start thinking about your trip by reading Bethany Kandel’s story about her family’s drive from San Francisco to Yosemite with teens. This story has more details about a driving itinerary in northern California and Yosemite if you want to spend more time outside the city. Yosemite National Park with Hotel & Camping Suggestions. San Francisco Attractions for Families. You mentioned that you are interested in an apartment rental, and these can be great for families and economical, too. Note: For city apartment rentals, many families like to use Craigs List, where apartment owners can list their own properties for short term rental. Keep in mind that you are seeing listings from owners themselves, so the info is not verified. Be sure to get in touch with the owner and ask for references before paying a deposit. Other sites that verify owners and listings include VRBO and AirBnB.com, which is very easy to use. None of these sites charge a fee and all will give you a good sense of what current prices are and what’s available. Use the FTF Guides to the city to determine which neighborhoods you prefer to rent in, as a neighborhood will have so much impact on your stay.